See-and-Type 1.0 - Download Win Apps. On-screen virtual keyboard software bundle with mouse-assisted typing.. SE is a series of virtual keyboard models (Standard, Compact, and UltraCompact) that assist people to enter text with the mouse, without a conventional keyboard. 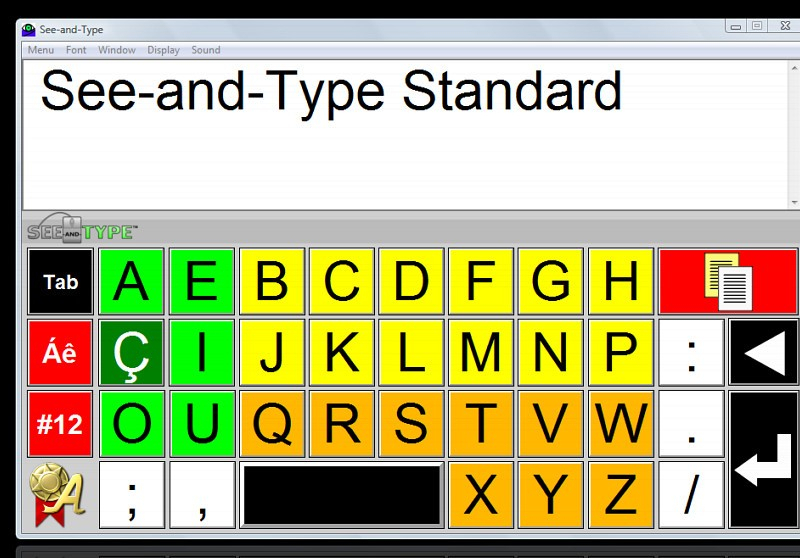 SE uses a special color scheme for easy identification of the text keys. SE is designed to facilitate typing for everyone who either needs or wants to use the mouse for writing texts instead of a regular keyboard. SE has four basic color schemes.